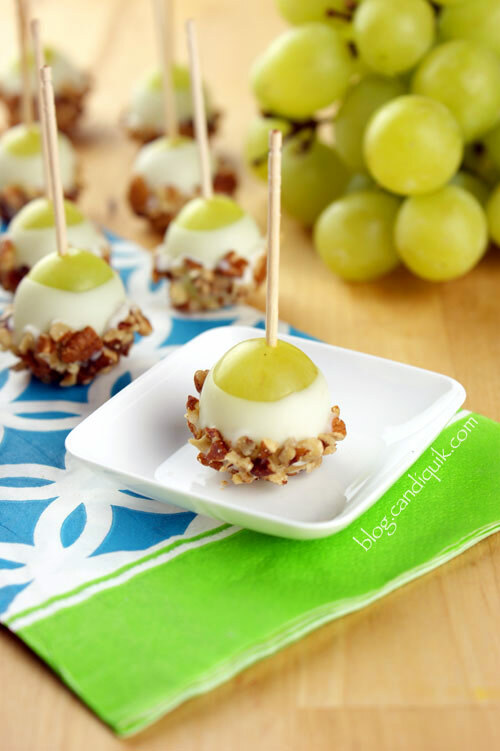 Plump grapes speared and dipped in Vanilla Candiquik then rolled in chopped pecans! Delicious and perfect for any party! Wash grapes and pat completely dry. Spear each grape with a toothpick. Holding the end of the toothpick, dip each grape in the CandiQuik; allow excess coating to drip off. Immediately dip the end of the grape in the chopped pecans; place on wax paper to dry.